Police officers have a tendency to assume the worst in people. This is quite normal given that we see the worst of society and we learn early in our careers that human beings are capable of committing heinous and atrocious acts against one another. This might sound like an excuse to justify clinging to our callousness but the psychology of this is actually quite basic. The result of being lied to is distrust. The fact that most of the people we arrest lie to cover up their transgressions makes not trusting others a natural consequence. The result of being attacked for no other reason than the uniform we wear results in walking around believing someone is trying to harm us - even off duty. And then I started having conversations with people and asking questions. That’s how I learned about Scott. He’s a heroine addict and he has a felony record for possession. He wears the label “addict” and “felon” but he’s more than that. He is a mechanic by trade but he lost his job, his family and his home as a result of his addiction. Before he was addicted to heroin, he played the trumpet as a hobby. He can hardly remember just being Scott because all anyone sees is “heroin addict” affixed to his chest like a scarlet letter. I was skimming through a few of the Aurora Facebook groups where residents convene to post and discuss anything and everything pertaining to Aurora. As a resident of Aurora, I always love to see pictures of beautiful architecture and landmarks that are so prominent in our city. But I also started to notice that our residents were taking to these forums to report crimes. It was not uncommon to see a post that inquired, “Did anyone hear the gun shots last night?” followed by blanket statements like, “I’m moving out of this city”. A few things struck me as I was reading. First and foremost, our citizens weren’t calling the police about these events. Second, the blatant misinformation and conjecture that was being communicated was troubling. I realized that in the absence of bonafide data, people will fill in the blanks. When you add a dose of opinion to snippets of information, rumor and innuendo are the consequence and that festers into paranoia. As a result of the increase in gang-related shootings in our city, the Aurora Police Department formulated an internal operations strategy that includes our Intelligence Unit, Gang Unit, Investigations Unit and the Patrol Division. Our resident experts are sharing intel and formulating plans to combat the criminals who are committing these crimes. In one of the strategy meetings, it occurred to me that we were missing a vital piece: our community members. The community forums were born as a result of the realization that even a police force of nearly 300 strong cannot be everywhere at all times in a city with a population of 200,000. My first objective in the forums was to communicate factual data for each area. With complete transparency in mind, our Community Policing Officers broke down each shooting that occurred in their assigned neighborhood. We wanted people to know that even with the increase in shootings, violent crime is still down. We wanted to educate people on how we classify shootings and that a shooting doesn’t always mean a person was shot. We wanted everyone to know that we are concerned about the increase in gang violence but that we are still seeing record lows in crime. But even one shooting is one too many and we will never stop fighting crime in this community. My second objective was to get our citizens more involved in the fight against crime. I want to get people away from their computer screens and out in their yards talking to their neighbors. We accomplished the first objective and the fact that that over 700 people attended the forums would suggest we achieved the second. I am so grateful to the citizens who took time out of their busy lives to attend because that tells me how many people care about this city. I still think we can do better by getting people to start neighborhood groups - especially in the higher crime areas. I learned a few personal lessons from the community forums. First and foremost, I obsessed about what we could have done better in each of the three meetings. I have a better idea going forward of how we can commit to constant self-improvement. I also learned a tough but necessary lesson. No matter what we try and do, there is a small microcosm of Aurora that can only see what is wrong instead of what is right. They are driven by hatred and their own political agendas. Unfortunately, these people don’t do anything meaningful to be a part of the solution so they sit on the sidelines criticizing those who are out there trying to make this city even better. At first I struggled with the criticism because it felt futile. If the police department wouldn’t have held these forums, we’d have been accused of not being transparent. So we put ourselves out there and we were criticized for our message. The phrase, “Damned if you do, damned if you don’t” comes to mind. It would have been much easier to ignore the fodder on social media and shrug my shoulders. It was difficult to put together the forums because it required that our officers give of their time to pull data and morph it into a presentation. Our officers put themselves out there to the community and that takes courage. But we will continue to do the right thing on behalf of the productive and caring residents who support the police and this city. A few of the aforementioned critics chided that our only solution was to call 9-1-1. And yet, that is one of the most powerful things that any resident can do for us. We’ve had two homicides in 2015 and one of them was solved immediately due to a citizen who witnessed a man running with a gun. The citizen called 9-1-1 and gave a detailed description and the location of the man running. Based on that information, our officers were able to swoop in within minutes and apprehend the offender after a foot pursuit. A homicide was solved because a citizen cared enough to get involved and we could not have done it without him. To minimize citizen involvement is irresponsible because we are all on the same team. As with any team, we have different roles. The residents of this community should be so vested in their respective neighborhoods that they watch and report anything suspicious. Our role as the police are to move towards the threat as we are trained to do. We have the same end in mind -- to make this community a safer place to live and raise our families. When we combine each of our roles with the overarching goal, together we will make Aurora a place where criminals cannot effectively operate. We want to keep the conversation going with our citizens wherever and whenever we can. 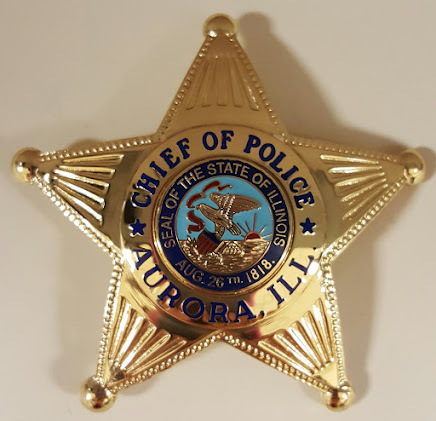 The men and women of the Aurora Police Department will continue to do the jobs they were entrusted to do because they are warriors with good purpose.